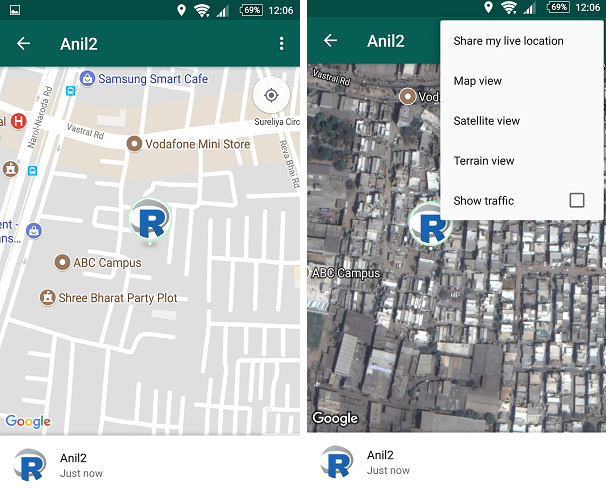 WhatsApp Messenger Live location sharing feature is here. Yes popular messaging app whatsapp has launched live location sharing feature so users can share their real-time location with friends. Parents can track the location of their children where they are. You can do this for safety. If you are in any trouble, you can share your location with your friends so they can help you. Well, its depends on you how you use live location sharing feature. 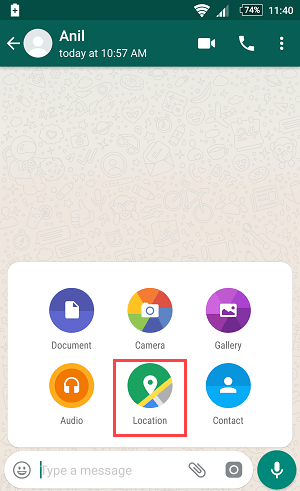 Here we are showing you – How can you share Live Location with your friends on WhatsApp. This feature is available on WhatsApp in latest version so you need to update it. 1 First of all, turn on your location in phone. You can see location option in setting, just turn it on. 2 Open the WhatsApp Messenger and open the chat of that friend with whom you want to share your real-time location. 3 Now tap on the share link and tap on Location option. 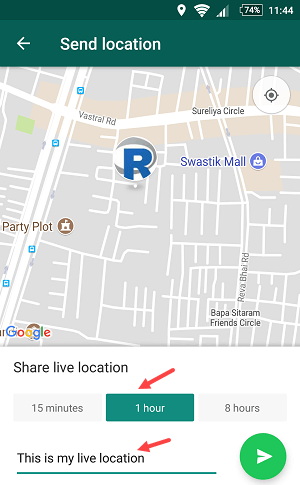 4 Now you can see the option of Share Live Location, just tap on it. 5 In the next screen you can see your current location. You can also choose time duration for live location sharing like (15 Minutes, 1 Hour, 8 Hours). When time is over, sharing will stopped. You can also type your message. Now tap on Send button. 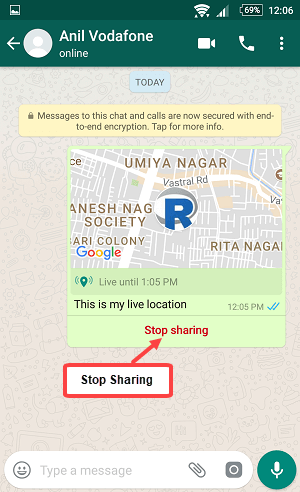 So this is how you can share your live location with your friends on WhatsApp. How friend will see your live location? Friend will see your message and he has to tap on View Live Location. Now, he can see your current position live. To view the map in satellite view, open Options and tap on the Satellite View. 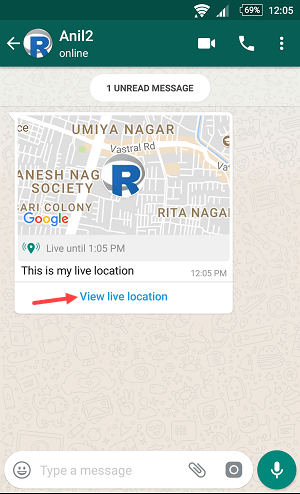 You can see live location of your friends, depends on time limit which he set for you. 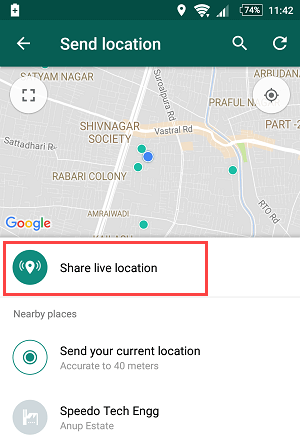 You can turn off your live location sharing at any time. Suppose you have shared it with someone mistakenly, you can stop sharing it. All you have to do is tap on Stop Sharing.